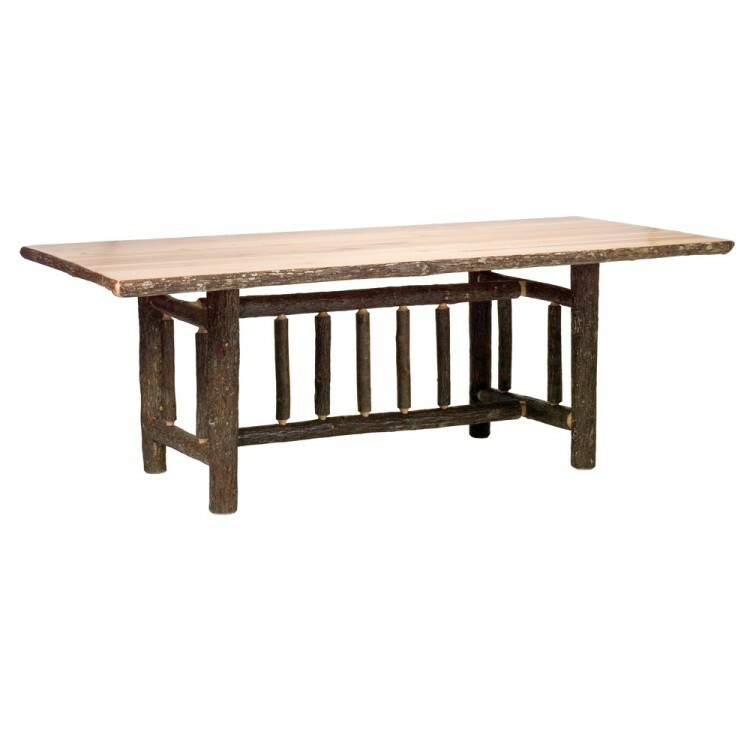 This beautiful rustic Hickory Log Dining Table will provide the rustic touch to your dining area. It features a clear-coat catalyzed lacquer finish for lasting durability and hickory logs that are bark on and kiln dried to a specific moisture content. 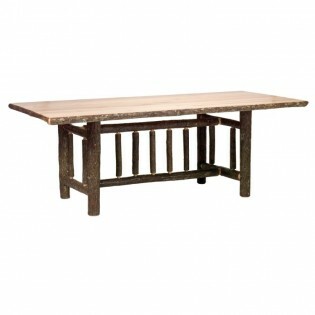 This beautiful rustic Hickory Log Dining Table will provide the rustic touch to your dining area. It features a clear-coat catalyzed lacquer finish for lasting durability and hickory logs that are bark on and kiln dried to a specific moisture content. 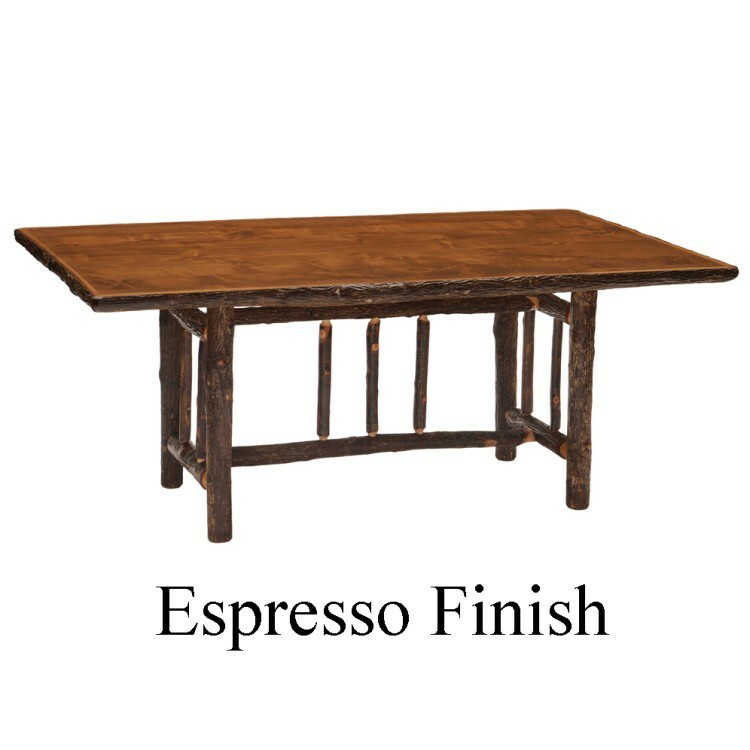 This rustic dining table 30" H and 42" W.